It’s also wrong. I don’t like Ryan’s plan at all, but it’s laughable to suggest that Ryan’s plan is the only hope for America (the House Progressive Caucus has a budget plan that actually cuts the deficit by more than Ryan’s), and West’s typically grandiose manner is highly likely to blow up in his face. For those of you who aren’t familiar with Allen West, he represents Florida in the House. Seriously. He represents a swing district that he was swept into as a part of Florida’s 2010 lurch to the right, that also saw the state elect an ex-con as governor. Compared to what West has done and said before, this is pretty middle of the road, but unlike torturing people, this might actually anger some of West’s elderly constituents. 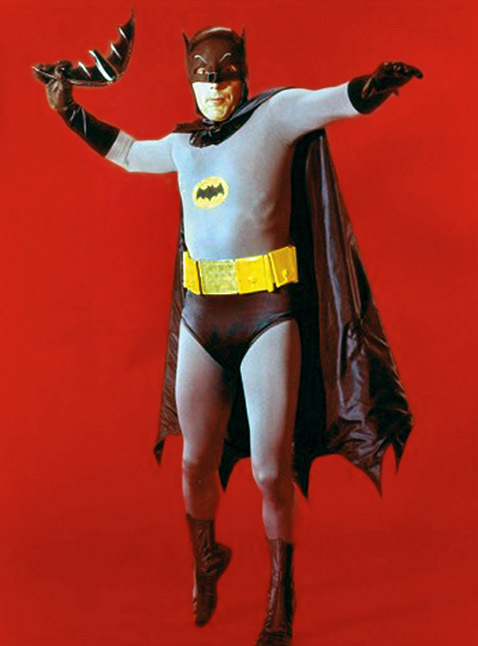 Republicans would have been better off trying to get Batman star Adam West to run instead. I used to watch that Batman series when I was a kid, now I am 45. they destroyed a great character. I certainly don’t miss it. that latest GOP lie i love lately is that “hey, medicare is gonna go bankrupt by 2020 anyway so Paul Ryan isn’t really killing medicare -- IT WAS GONNA DIE ANYWAY”. Yeah, that dog won’t hunt. The public isn’t going to accept that it can’t be fixed, and they shouldn’t.